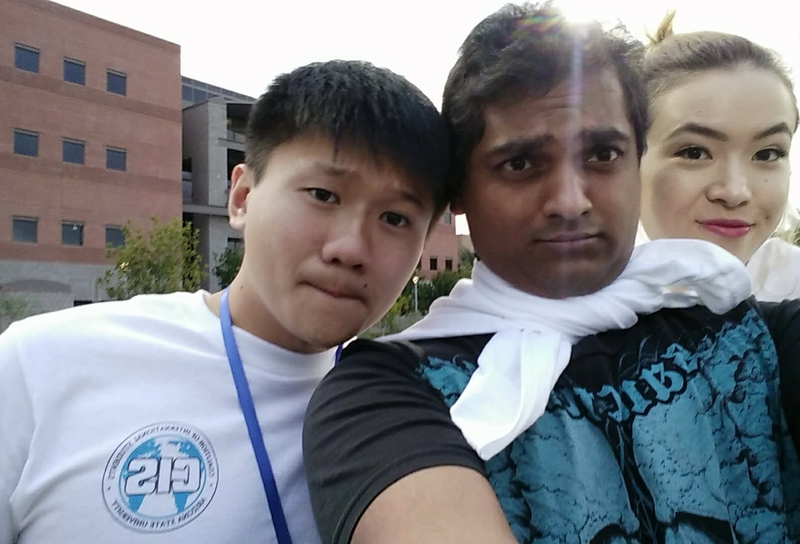 There are a lot of reasons why people decide to become CIS members but for Siddhant Srivastava it was because he heard ex-President Jiayi Lew say during the Faces of ASU talk that "CIS members are cool people". So he decided to join the cool people. 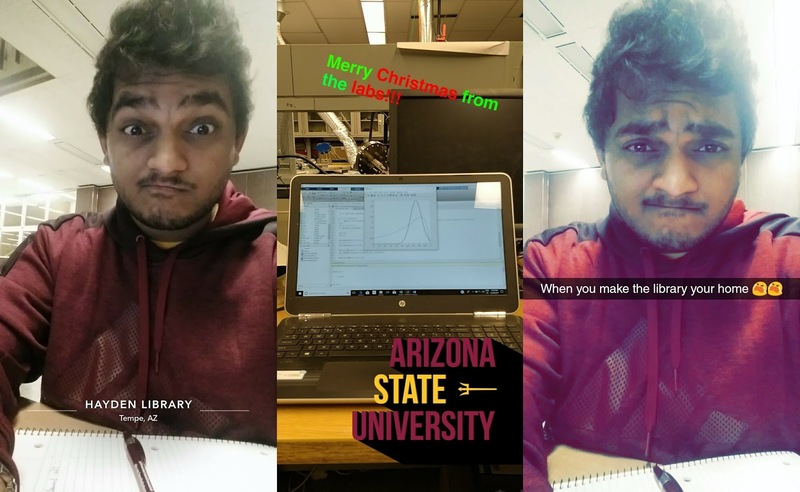 Srivastava first arrived in the U.S. on August 2017 to begin his Masters program in Mechanical Engineering at ASU's Ira A. Fulton Schools of Engineering. His decision to further his studies at ASU was mainly because of the weather and the affordable tuition compared to his other options. Adding to that, Srivastava says he has extended family living in Scottsdale. Srivastava grew up in India's westernmost state Gujarat where people are known to be pretty religious. And their family primarily has chicken and seafood as their main source of protein. When asked about the difference in environment from where he grew up in relation to Tempe, he responded by saying "people here speak English". He added that despite English being an official language in India, people do not speak it as often. Education in India is more competitive compared to here in the U.S. according to Srivastava. He notes that millions of Indians take an exam every year to get into University and this single score is used to determine their eligibility to enter a University. Beyond that, Srivastava says that academics in India is noticeably easier compared to the U.S. mainly because he had to push himself to be more independent to do more practice problems and read up on additional readings outside of class in order to excel in the U.S.. But one thing that he does admires about the American education sSrivastavaystem is that grading is cumulative and more considerate. Furthermore, Srivastava says that the Indian education system does not take to account extra curricular activities when judging the success of students. But that didn't stop him from participating in a pleathora of activities outside of class. One of them being helping out an NGO called GRAMIKSHA that focused on providing education to underpriviliged students. Through these activities, he gained a lot of opportunities to improve his leadership and interpersonal skills. Turning the attention back to his experience at CIS, Srivastava spent quite a big chunk of his time during his first semester to plan CIS events and also to interact with several ASU administration staff. He felt that his experience with CIS so far has both fun and rewarding in the sense that he came to realize how things are done here at ASU. He used to do similar things back in India where he worked with individuals from different backgrounds and mindsets. Building upon his leadership skills is just as small part of what he gained during his first semester as a CIS member. He made a lot of good friends and also made some good memories during weekend CIS gatherings. And the most interesting thing he did in CIS this semester is that he became friends with a married man. Something that he feels is both amazing and cool. Adding to that, he said that CIS not only became a fun experience for him but was also the only club that he joined that wasn't primarily about giving out free food. It is a CIS where he found a purpose to work harder and realized that he can be useful to the ASU international student community. Looking back at his first semester at ASU, he focused more on his personal goals but he feels confident that he can bounce back in his academics in the following semester. Most importantly is that the things he did this semester with CIS did not go to waste as he made a lot of new friends. As the saying goes "third time's a charm", that was exactly what Shiyu Hu was hoping for after two failed attempts in the standardized English examination needed for a US University application. She did manage to succeed in her third attempt and she is now on her final semester at ASU. Hu came to ASU through a special 3+1+1 program between ASU and Nanjing Audit University that allowed her to complete her senior year of college and continue on to a Master program at ASU's WP Carey School of Business. "CIS is a student led organization that acts as a bridge to reflect the needs of international students to university administration. We aim to enhance international student experience, promote cultural diversity and inclusivity in ASU through events and service."